Lovers of Meatmother, Richmond's funky American BBQ joint on Swan Street, will be pleased to know that barely a year after opening the constantly packed-out favourite, co-owners Neil Hamblen and Nick Johnstone are branching out, thinking big and taking over the Little Collins Street basement space that briefly housed Little Hunter for their new CBD outpost, Meatmaiden. Opening on August 28th, Meatmaiden is a slightly more sophisticated offering, with designers Urchin Associates making full use of the gorgeous bare bones of this hideaway space tucked underneath Reader's Feast. All dark polished floors, deep brown leather booths, striking framed photography by renowned photographer Andy Hatton, the place also has a great glass case housing hanging dried meat. A sleek black stone-topped bar runs the full length of Meatmaiden. Scotsman Hamblen says he and Johnstone were blown away with the opportunity presented by the basement venue. "We fell in love with this underground space with a wee bit of an edge to it.," he says. "Part of the reason we loved the space is because it has an absolutely amazing bar, with a separate cocktail bar, too. We're limited for space in Richmond (at Meatmother), but here we've got a back bar and we can get the best bourbon list going, as well as having six taps for craft beer. We couldn't do kegs in Richmond." Beers on draught at Meatmaiden will include the likes of Mornington Brown, Founders All Day IPA and Rogue Brutal IPA. Hamblen spent time in Austin, Texas, in his 20s and dug the barbecue belt vibe. Years later he spotted the chance to bring the American BBQ trend to Melbourne. "We saw the opportunity and Melbourne has embraced it," he says. "It's gone really well in Richmond. People responded to the simplicity of the menu, and the whole concept with craft beer and bourbon. It's not fussy, it's casual and informal and we're very generous in terms of portion size for the price point." The Meatmaiden guys have recruited Justin Wise, formerly of Albert Park's The Point, one of the country's finest steakhouses, and also ex-Press Club, to raise their game and broaden the appeal of the menu. Wise has been experimenting in-house and from home, playing around with lighter dishes and even, gasp, veggie and vegan options. He'll stick around for a month after opening before handing the reins to head chef and former The Point colleague, Riki Day. 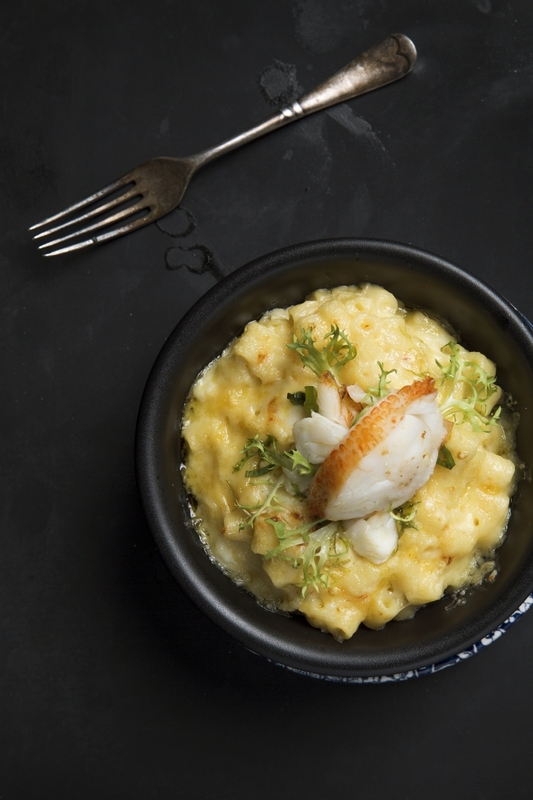 Wise's top pick on the new Meatmaiden menu is the lobster mac and cheese. "It's just lush," he says, and we completely agree, with its smooth cheesy goodness topped with a perfectly crunchy crust and a thick and juicy piece of lobster meat. "It's something you can have as a side with a few people, or you can have just that with a glass of chardonnay and it's beautiful." Of course, it's all about the meat at Meatmaiden, with Wise itching to show off the goods from their shiny new smoker, including the succulent Rangers Valley wagyu brisket rubbed with Tassie pepper berry, sold in 100 gram lots, and a richly flavoursome Gippsland beef short rib. Southern fried chicken ribs with a tequila mayo are ridiculously moreish and will have you rubbing your jeans in a sticky-fingered frenzy, while healthier options include the barbecue eggplant, capsicum and roasted tomatoes, or the pickled heirloom veggies served with goats curd and fresh chilli. Oysters are doled up with a tantalising smoked fennel dressing. "I love cooking at home and playing around with stuff," Wise says. "That's where I get my inspiration. The grilled Mooloolaba prawns and the NQA (not quite American) salad started life at home." Now that we've head a sneaky peek at the swanky new Meatmaiden digs and a thoroughly greedy go at the menu, we have absolutely no intention of cooking at home ever again. Save us a booth and we'll see you downstairs. Image Credits: Meatmaiden, by Andrew Diprose.